Eating apples can be up to four times more damaging to teeth than carbonated drinks, according to new research. Wine and lager also increase the risk of dental damage but pickled onions and grapefruit, which are consumed less frequently, do not. 'It is not only about what we eat, but how we eat it,' says Professor David Bartlett, head of prosthodontics at King's College London Dental Institute, who led the study. Doctors quite rightly say that eating apples is good, but if you eat them slowly the high acidity levels can damage your teeth. The drinks most often associated with dietary erosion, particularly cola, showed no increased risk. In the new study, the researchers looked for links between tooth wear at several sites in the mouth, and diet in more than 1,000 men and women aged 18 to 30. They looked for damage to the 2mm surface enamel of their teeth, and at the dentine, the main supporting structure of the tooth beneath the enamel, and compared it with diet. People who ate apples were 3.7 times more likely to have dentine damage, while carbonated drink consumers had no additional risk. Fruit juice increased the likelihood of damage to the enamel around the top of the teeth near the gums fourfold, while lager, which is acidic, raised the chances of dentine damage threefold. Some apples contain as much as four teaspoons of sugar which contributes to raised acid levels in the mouth. One suggestion is to eat your apple with milk or a piece of cheese as both contain calcium, which neutralises acid. Drinking water immediately after eating an apple will also help, washing away harmful effects. Dr Jones adds: 'Drinking fruit juice and smoothies with a straw is a way of protecting your teeth. As my comments to these articles frequently don't appear or are later removed I'll copy my reply to one of the other comments here. However our hunter gatherer ancestors would only have had fruit available in season. Having fruit available year round may not be such a good idea similarly eating fruit together with it's fibre is probably better (lower glycemic index) than juiced fruit. is a useful video for those wanting to learn more about the danger of fructose. For those who want to understand how to protect their teeth "The Dental Essentials" Is a cavity-free childhood really possible? Dr Weston Price DDS, found that when he supplemented with both vitamin D and vitamin K2, he achieved far superior results than using either alone. 4 teaspoons of sugar in an apple compared to the 10 to 20 teaspoons in "fizzy" drinks? My son is very sensitive to acids in natural foods. Eat a grapefruit and his mouth gets sores. Eat an apple and nothing..
Who paid this guy to write this article? Malic acid is the only acid I believe existing in apples, and we know how very healthy that is from previous posts. Just do a search on this forum for malic acid. The more tart the apple, the more malic acid. Therefore, the sweeter the apple, the less malic acid. Malic acid is a source of carbon dioxide. I wonder if that is what's happening to the teeth enamel. Just an observation in relation to carbonated drinks. E I E I 0.
besides this stupid article what makes you think so? Salts used as meat preservatives could be a new way to tackle high blood pressure. Once inhaled or ingested, the natural salts (known as nitrites and nitrates) convert into nitric oxide in the blood, which, in turn, widens blood vessels and lowers blood pressure. Treatment with inhaled nitrites is about to be tested in a new U.S. trial involving patients with pulmonary arterial hypertension, a form of high blood pressure in the artery that runs between the heart and lungs. 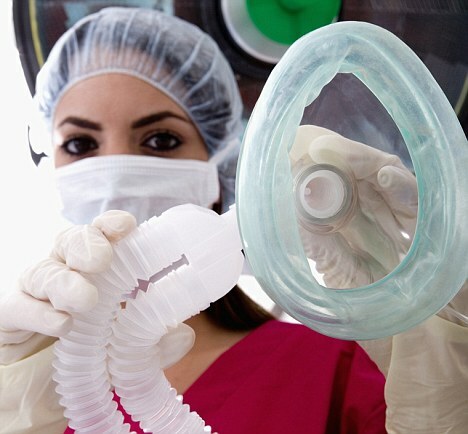 Patients will inhale the salts, using a device like an oxygen mask. A drinkable form of the salts is being used in a trial at Exeter University for conventional high blood pressure, which is estimated to affect up to one in three people in Britain. Although there are effective treatments already available for high blood pressure, researchers have become increasingly interested in the role of nitric oxide. The compound is made naturally by the cells that line blood vessels, and plays an important role in keeping them open and preventing damage from substances such as cholesterol. There are now a number of clinical trials looking at the role of nitric oxide in cardiovascular conditions, including high blood pressure, heart disease and peripheral artery disease (when blood vessels in the legs become furred up with cholesterol). Nitric oxide has also been investigated and developed as a treatment for impotence. Normally, sexual stimulation causes nitric oxide to be released in the erectile tissue, resulting in increased blood flow to key areas. A breakthrough came when scientists discovered that nitrites and nitrates — different forms of salt found naturally in some vegetables — were converted into nitric oxide once in the blood. Eating grapefruit may increase the risk of by up to a third. According to new research, eating as little as a quarter of a grapefruit a day may increase the risk by 30 per cent in older women. Breast cancer accounts for more than a quarter of all. More than 40,000 cases are diagnosed and around 12,500 women die from the disease in the UK each year. "This is the first report of a commonly consumed food that may increase the risk of breast cancer among postmenopausal women," say the researchers. "Whole grapefruit intake was significantly associated with breast cancer in the present study – generally, a 30 per cent increase among women who consume the equivalent of one quarter of a grapefruit or more per day." It is thought the fruit increases blood levels of oestrogen, the hormone associated with. The research, reported in the British Journal of Cancer, is based on a study group of around 46,000 women, including 1,657 with breast cancer. The women sampled are among those taking part in the long running Hawaii-Los Angeles Multiethnic Study. In the study, the women were asked how much grapefruit they had consumed daily during the previous year. Overall, whole grapefruit was consumed by 50 per cent of the women, with 7 per cent having an intake of one quarter of a grapefruit or more a day. what ever happened to.... "an apple a day keeps the doctor away"
Conventionally grown apples are toxic. The thin skin of an apple readily absorbs pesticide sprays, which are excessively used by conventional fruit growers to create perfect looking apples which will be visually appealing to consumers. Check the charts regarding which conventionally grown foods contain the highest concentrations of chemical toxins. Non organic apples are at the top of the charts.